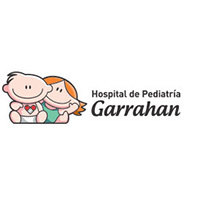 The Hospital Garrahan is the most important and complex Children’s Medical Center in Argentina. Funded by the National State and the City of Buenos Aires, it is affiliated to the School of Medicine, University of Buenos Aires, specialized in the management of complex pediatric diseases. The Hospital Garrahan has the widest coverage for pregnant women with HIV, children and young people with HIV and it is therefore considered a leading center in the training of professionals from all areas of maternal and child health in general and particularly related to HIV/AIDS. The clinical laboratory of the HGP Clinical Site carries out different clinical determination for routine, microbiological and immunological studies.